Volkswagen has been teasing us with the idea of a mid-engined roadster for quite awhile now. 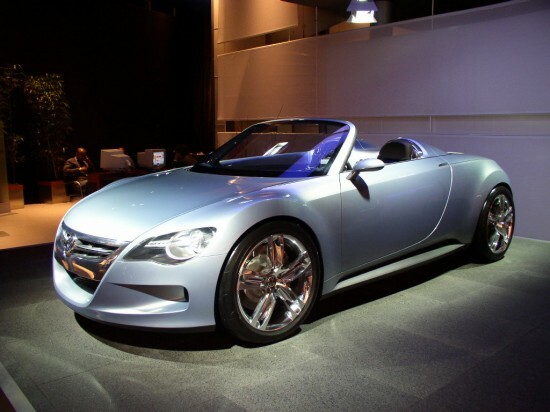 One such example is the Volkswagen Concept R, shown here on display at the 2004 NAIAS. The R made use of a 3.2L V6 for propulsion and had 261-hp and 240 lb-ft of torque on tap. The seats were fixed in place and for the driver to adjust the seating position he had to actually electrically move the steering wheel, pedals, and instrument cluster “block” back and forth. The seats, though immovable, were filled with an active foam that would adapt to the body contours of the driver and passenger.